The Mars Underground (2007) – documentary film exploring what future potential Mars missions could look like and how humans might one day be able to colonise the planet. Leading aerospace engineer and Mars Society President Dr. Robert Zubrin has a dream. He wants to get humans to the planet Mars in the next ten years. Now, with the advent of a revolutionary plan, Mars Direct, Zubrin shows how we can use present day technology and natural resources on Mars to make human settlement possible. But can he win over the skeptics at NASA and the wider world? Leading aerospace engineer and Mars Society President Dr. Robert Zubrin has a dream. 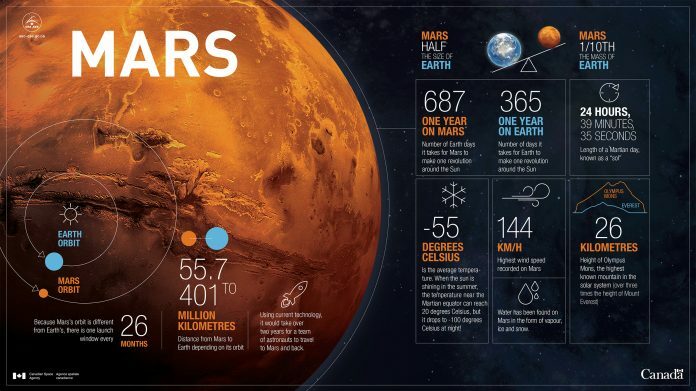 He wants to get humans to the planet Mars in the next ten years. Now, with the advent of a revolutionary plan, Mars Direct, Zubrin shows how we can use present day technology and natural resources on Mars to make human settlement possible. But can he win over the skeptics at NASA and the wider world? The Mars Underground is a landmark documentary that follows Zubrin and his team as they try to bring this incredible dream to life. Through spellbinding animation, the film takes us on a daring first journey to the Red Planet and envisions a future Mars teeming with life and terraformed into a blue world. A must-see experience for anyone concerned for our global future and the triumph of the human spirit. Please subscribe to Blue Mars Channel and new Mars Videos will be coming soon. SHOW YOUR SUPPORT! for our great content by clicking on the Fan Funding button on the BLUE MARS Channel page. We’ve got a special “Thank You” video. Accessing disconnect. Enable on. Copy that E.L. Com. All systems are go for entry, decent, and landing. Stand by. Stand by. We are looking fine, flight. Data is good. America began making plans to land the first humans on Mars. But manned missions to the red planet have been proposed before. For some, Mars holds the answers to mankind’s future in space. for mankind to reach into space anymore. way, unable to reach beyond even low-earth orbit. circles with the space program for the past 30 years. the universe or exclusive to the earth. Martian soil could be made within 10 years. There is absolutely nothing in this that is beyond our technology. on Mars should be the goal for NASA now. space will truly benefit mankind. we risk the possibility of stagnation and decay.